The classic problems with Saturn TAAT valve bodies include low line pressure, no Reverse, delayed Reverse engagement and/or 3rd Gear inefficiency. 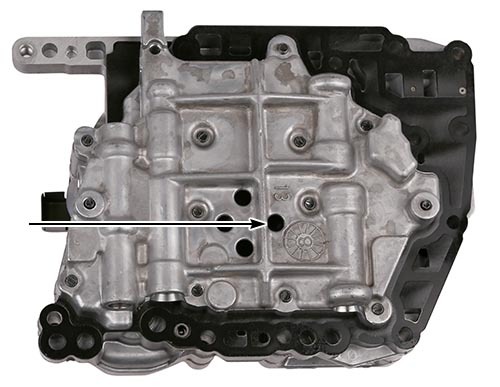 Solve these problems with Sonnax remanufactured valve body SAT001. Saturn TAAT valve bodies typically begin failing after approximately 70,000 miles of usage. About 75% of the failures can be attributed to excessive wear in the pressure regulator bore due to the continuous oscillation of the valve. The Sonnax remanufactured valve body addresses this wear by reaming the bore and installing a wear resistant sleeve and replacement pressure regulator valve. Torque valve body bolts in sequence shown to 97 in-lb. There are two versions of the Saturn TAAT. The early version was used only in model years '91-early '92. 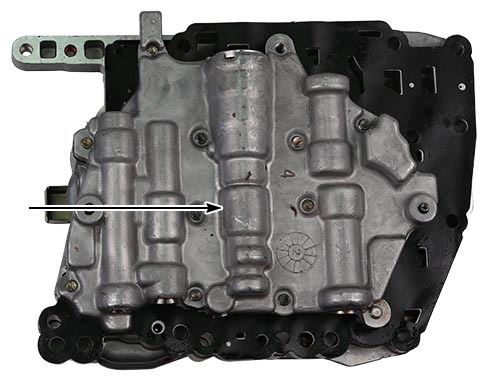 There is a large valve on the bottom of the valve body instead of the four holes that are found on the more common '92-later valve body. The photos below illustrate the bottom of a Saturn TAAT valve body.